The Graphic Design Career Paths Student Guide is an 8MB interactive PDF document. 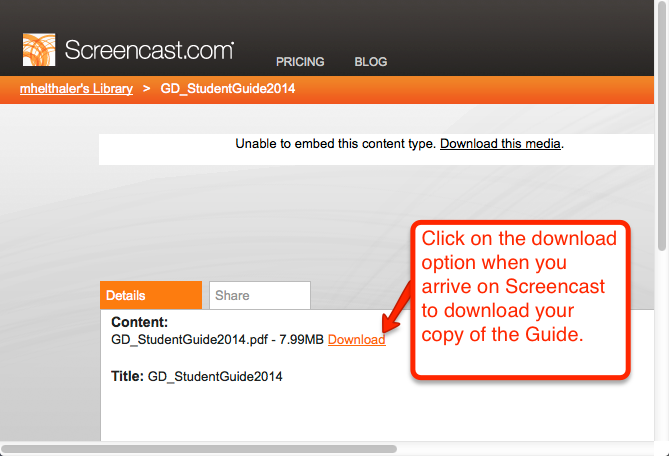 The file is too large to share here as an attachment so we have housed it on Screencast.com. When you click on this link: http://www.screencast.com/t/CrWMLLOf you will be brought to the Screencast site where you will see a download option. See the screenshot below for more information.